Federal officials say 711 children remain separated from their parents despite Thursday’s court-imposed deadline for the Trump administration to reunite all migrant children separated from their parents by immigration officials at the border. Federal officials say 711 children remain separated from their parents despite Thursday’s court-imposed deadline for the Trump administration to reunite all migrant children separated from their parents by immigration officials at the border. More than 400 parents have been deported back to their home countries while their children remain in U.S. custody in facilities scattered across the United States. 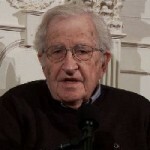 Today’s guest is world-renowned political dissident, linguist, author and professor Noam Chomsky. International human rights groups say that over 300 people have died in Nicaragua since the protests erupted in April and that the vast majority have been killed by pro-government forces. Earlier this week, Nicaraguan President Daniel Ortega rejected calls to step down from power, amid mounting protests and civil unrest. Noam Chomsky speaks about the current crisis and the role of the U.S. in Nicaragua in the 1980s. The 2018 midterm election season has been roiled by the internal divisions between the Democratic Party’s growing progressive base and the more conservative party establishment. In New York City, this division came to a head with the most shocking upset of the election season so far, when 28-year-old Alexandria Ocasio-Cortez handily defeated 10-term incumbent Representative Joe Crowley, the fourth-ranking Democrat in the House. Ocasio-Cortez ran a progressive grassroots campaign as a Democratic Socialist advocating for “Medicare for All” and the abolition of ICE. The New York Times reports special counsel Robert Mueller is scrutinizing President Trump’s tweets as part of Mueller’s expanding probe into Trump’s ties to Russia. This latest revelation in the Mueller investigation is part of a nearly 24-hour stream of headlines about Trump, Russia and the administration’s various scandals. But is the mainstream media missing the real stories amid its obsession with “Russiagate”?